CBD Oil Review rates HempleBox CBD with two stars because it qualifies for the Innovation & Mission Badges. The subscription box industry has exploded since 2011 when some of the now heavy-hitters came on the scene. And it’s easy to see why. Who doesn’t want a box of mini-surprises at their doorstep every month? 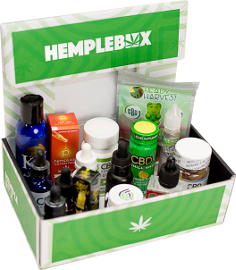 HempleBox curates personalized boxes featuring a variety of CBD brands, including their proprietary CBD e-liquid, delivered to the cannabis enthusiasts every month. We genuinely like the premise, but a closer look at HempleBox’s featured CBD products makes us hesitant to join the party. Hemplebox offers a monthly CBD subscription service at four levels: Lite at $49.99/month, Standard at $99.99/month, Premium at $149.99/month, and Deluxe at a whopping $249.99/month. While each delivery is meant to surprise (the emotional bread and butter of the box subscription business), customers can select the types of products they want to receive. Users select one or more of the following categories to be included in their personalized boxes: CBD e-liquids, tinctures, concentrates, topicals, edibles, capsules, and pens. Changes can be made to these preferences and take effect the following month. HempleBox has a proprietary brand of CBD vape e-liquid featured in various subscription models, and they use a variety of other brands to complete their packages in the other categories. The issue we take with HempleBox is that some of their products are quality while some are not. For example, Koi CBD e-liquid we know is responsibly sourced, and independent lab testing is available online. At the same time, HempleBox uses Chill Plus Gummy Bears which contain high fructose corn syrup plus artificial colors and flavors. The HempleBox e-liquid also includes artificial flavoring. And don’t get us started on the strawberry jam from Jam Monster: artificial flavors and lack of testing. In the same vein, some brands featured by HempleBox are charitable, like Green Roads, while many others are not. Because we cannot verify safety and quality for all the products in a HempleBox, we cannot award them these badges. 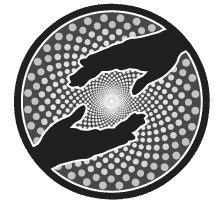 The same goes for the charity badge. Though the box subscription industry has been growing for some time, monthly CBD boxes are relatively new. Therefore, we have awarded HempleBox the innovation badge. Bottom Line – HempleBox offers a cool service: monthly CBD products delivered to the doorstep, giving customers the opportunity to try different delivery methods and brands. However, we are critical of some of their product choices that do not contain quality ingredients and/or are not backed by adequate safety tests. HempleBox is capitalizing on the success of the subscription box industry by incorporating different CBD offerings delivered monthly to consumers. HempleBox offers customers the monthly opportunity to explore different CBD products at 20-40% less than retail cost.